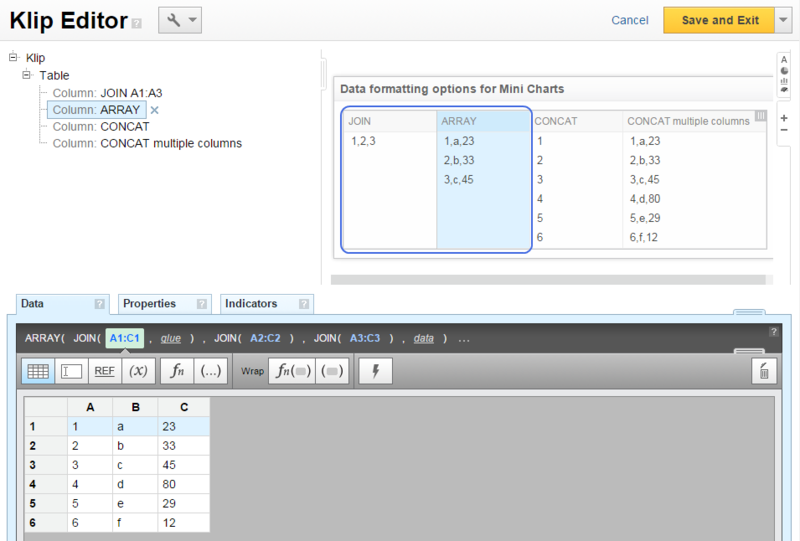 How to use Mini Chart formats – How can we help you today? Mini Charts show trends over time. 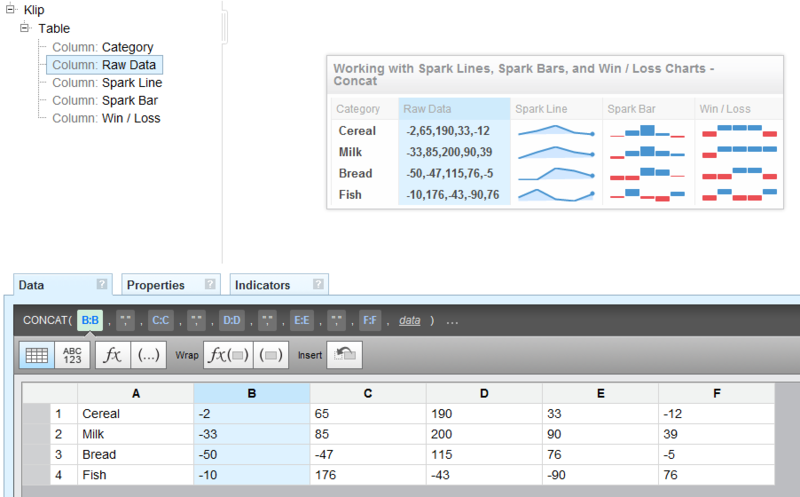 You can use Mini Charts in Table, Value Pair, Label and Sparkline components, provided that the data is formatted as a comma separated list. If it is not, you can format it using the JOIN function or the CONCAT function. If the values in your data source are in adjoining cells (A1 | A2 | A3), then use the JOIN function to create a comma separated list. To create an array of comma separated lists, wrap the JOIN function in an ARRAY function. To create a comma separated list for an unbounded range, such as A:A, use the CONCAT function. Optional: If your data source has a header, use the SLICE function to remove it. To create an array of unbounded comma separated lists, manually insert a comma between data selections.